A 22-year-old man was transported by CareFlight to Miami Valley Hospital following a Sunday morning crash. 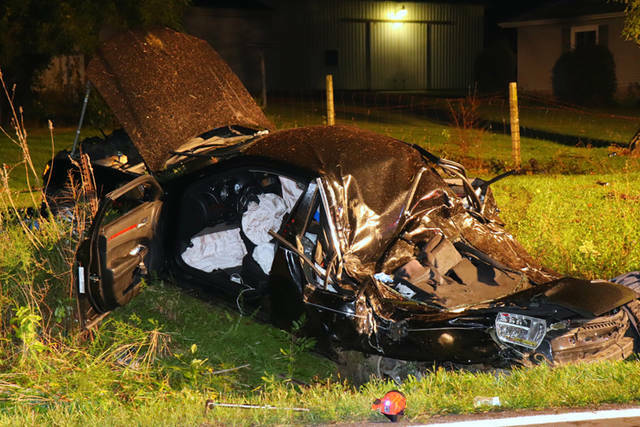 GREENVILLE — An early morning accident on the outskirts of Greenville has left a driver transported by CareFlight for life-threatening injuries. 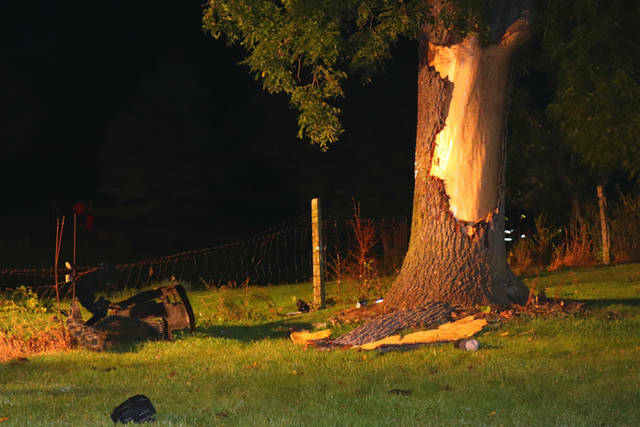 At approximately 3 a.m. Sunday, emergency personnel from Greenville Township Fire and Rescue, CareFlight, as well as deputies from the Darke County Sheriff’s Department were dispatched to the area in front of 3330 State Route 571 West in reference to a serious injury accident. 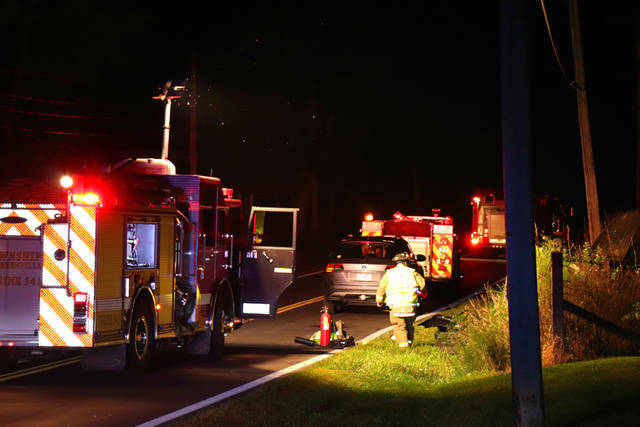 Upon arrival on the scene by first responders, a vehicle suffering heavy damage was discovered off the north side of the roadway resting in a ditch with the driver unconscious but breathing. According to deputies from the Darke County Sheriff’s Department, preliminary investigations have revealed a black 2012 Chrysler 300, driven by 22-year-old Austin Littlepage, was westbound on State Route 571 West when it left the right side of the roadway, striking a mailbox and traveling into the front yard of 3330 State Route 571. The vehicle then hit an embankment near the house, causing it to roll and go airborne, striking a tree numerous feet away before continuing and coming to rest in a ditch near the roadway. 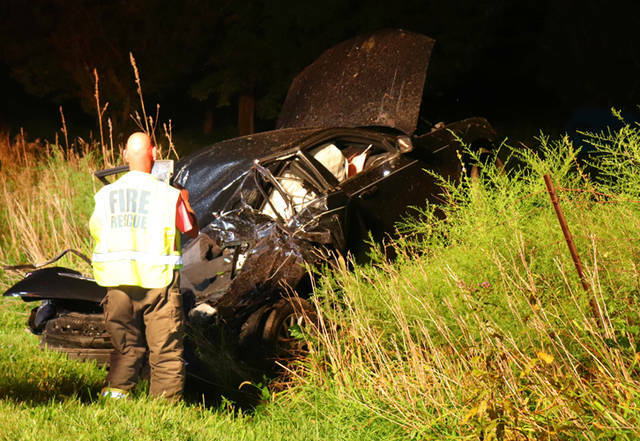 The driver, and sole occupant, was extricated from the vehicle by Greenville Township Fire and Rescue before being transported to the landing zone at the Darke County Justice Center to meet CareFlight. He then was transported by CareFlight to Miami Valley Hospital where he is listed in critical condition. The accident remains under investigation by the Darke County Sheriff’s Department accident reconstruction team. This entry was tagged Careflight, crash, Darke County Sheriff’s Department, Greenville, Greenville Township Fire and Rescue, Miami Valley Hospital. Bookmark the permalink.